Halls of Flesh-Shaping Defeat the bosses in the befouled chambers beneath the Throne of Thunder. 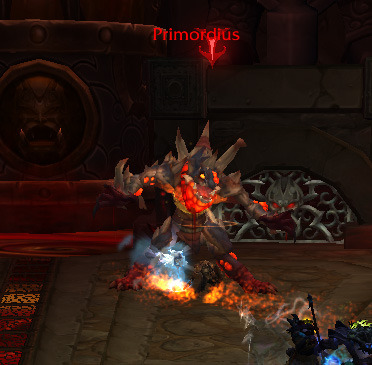 Primodius has an aura that makes him take 25% less damage (despite the tooltip). Getting the fully mutated buff negates that. Killing adds and soaking red pools gives you the fully mutated buff. 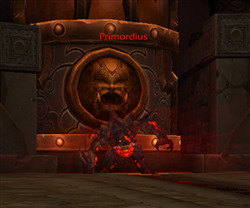 The adds can be soloed. When you kill them they drop 3 pools of the same color. Red pools = good, purple pools = bad. Running over the red pools give you mutations (damage buffs). 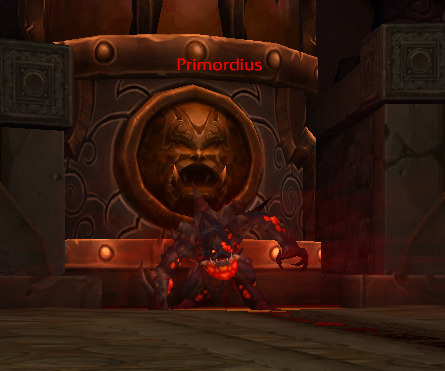 After you get 5 mutations you will be transformed and be able to do full damage to primordius.